Most daily New York Times crossword puzzles in the pre-Shortzian era did not include constructor bylines. 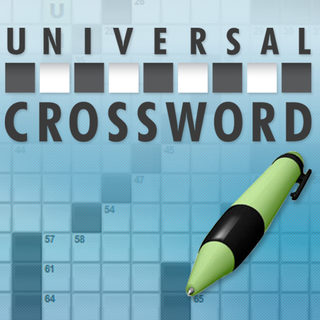 This means that identifying who constructed a particular daily crossword during this time is very difficult. 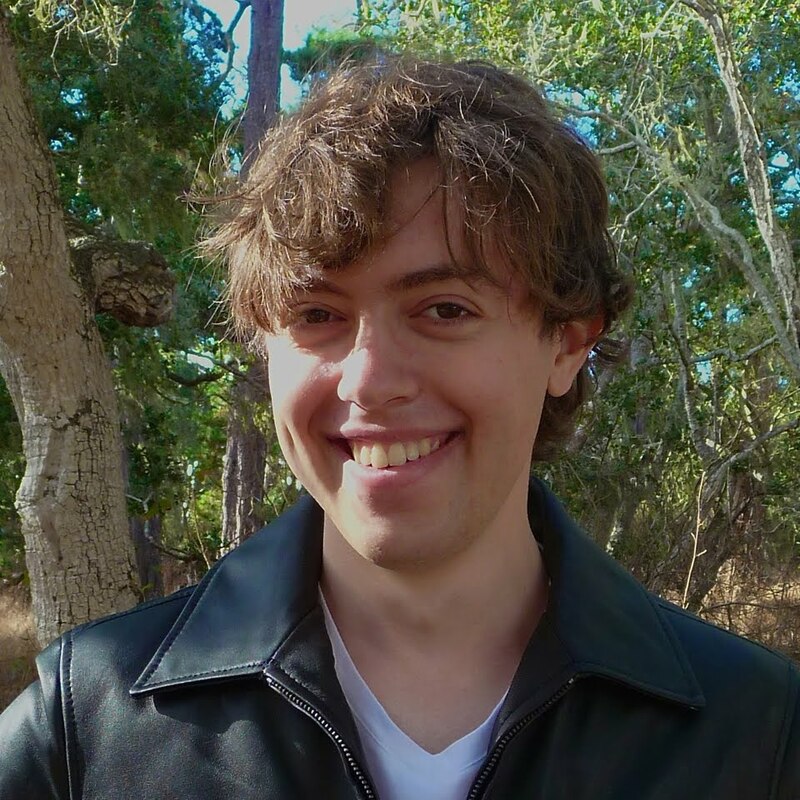 One way of doing this, however, is by matching up PDFs of actual New York Times crosswords with puzzles in books of old New York Times crosswords, which did include constructor bylines. Stan Newman owns 27 of these books, which he generously lent me for this purpose. 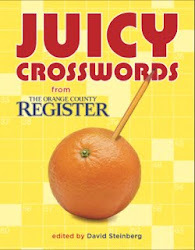 I have now finished going through all the books and matching up the names with published crosswords. However, there are many more such books that were published. I've listed below the books I've already seen; after the main list, I've included a photo and brief identifying description of each book. 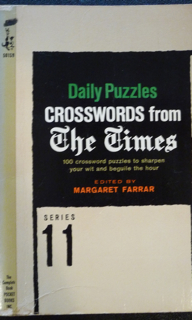 The Pocket Books series of daily puzzles/crosswords from The Times appears to be the same as the spiral-bound books (e.g., The New York Times Crosswords Daily Puzzles–Series 13 contains the same puzzles as the spiral-bound Crosswords from The Times, Series 13). 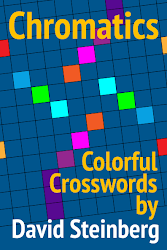 This Pocket Books series, however, is not the same as the Pocket Books of Crossword Puzzles series, which does not include daily puzzles from The Times. 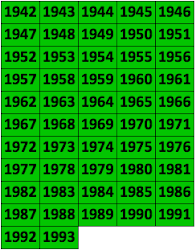 If you have any New York Times daily puzzles crossword books from the pre-Shortzian era that are not on the lists below—Series 2, 3, 4, 5, 7, 8, 12, 16, 17, 21, 27, 30, 32, 35, 39, and anything after 43—and that you'd be willing to lend me for matching purposes, please contact me here. I'll be happy to reimburse you for any mailing costs. 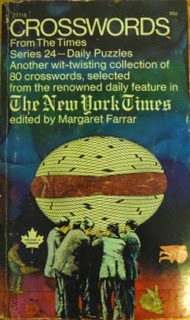 The New York Times Crosswords Daily Puzzles–Series 9, edited by Margaret Farrar. ISBN: 0-671-45299-1. Puzzle 1 ("Wordsmanship") by Eileen Lexau, puzzle 2 ("Phrase Hunting") by Sidney Lambert, puzzle 3 ("Winter-Summer Mixture") by Louis Sabin. 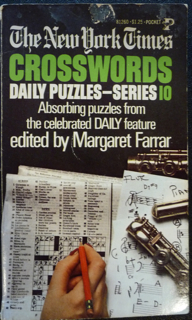 The New York Times Crosswords Daily Puzzles–Series 10, edited by Margaret Farrar. ISBN: 0-671-81260-2. Puzzle 1 ("On the Up and Up") by Herbert Ettenson, puzzle 2 ("Entertainment") by Charles E. Gersch, puzzle 3 ("Ten-Letter To-Do") by Harold T. Bers. 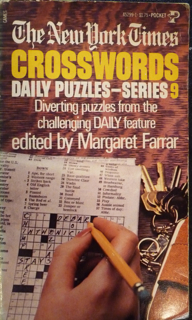 Daily Puzzles Crosswords from The Times, Series 11, edited by Margaret Farrar. ISBN: Not available. Puzzle 1 ("Occasional Oddities") by Alfred Rosenheim, puzzle 2 ("Twilight Zone") by Victor Goldfarb, puzzle 3 ("Moment Musicale") by Bernice Gordon. 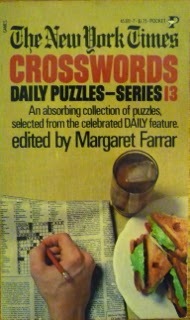 The New York Times Crosswords Daily Puzzles–Series 13, edited by Margaret Farrar. ISBN: 0-671-45301-7. Puzzle 1 ("Memorabilia") by Sidney Lambert, puzzle 2 ("Longs and Shorts") by Morton Braun, puzzle 3 ("Expertise") by Jack Luzzatto. 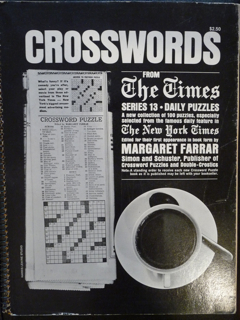 The New York Times Crosswords Daily Puzzles–Series 14, edited by Margaret Farrar. ISBN: 0-671-83248-4. Puzzle 1 ("Commencement") by Cora Goodman, puzzle 2 ("Long, Short and In Between") by Albert Blum, puzzle 3 ("Capacious Corners") by Dorothy Smith. 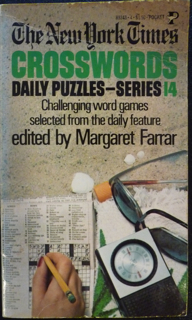 Crosswords from The Times, Series 15–Daily Puzzles, edited by Margaret Farrar. Standard Book Number: 671-55107-8. Puzzle 1 ("Lots of Lore") by Thomas Meekin, puzzle 2 ("Free for All") by Sidney Lambert, puzzle 3 ("Word Play's the Thing") by Jack Luzzatto. 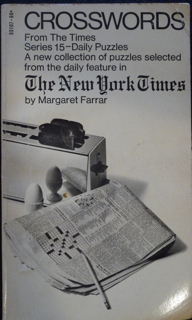 The New York Times Crosswords Daily Puzzles–Series 18, edited by Margaret Farrar. ISBN: 0-671-43311-3. Puzzle 1 ("Head Start") by Jack Luzzatto, puzzle 2 ("Words on Tour") by H. L. Risteen, puzzle 3 ("Good Names") by Peter Allen. 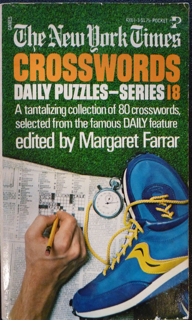 The New York Times Crosswords Daily Puzzles–Series 19, edited by Margaret Farrar. ISBN: 0-671-83249-2. Puzzle 1 ("The Wide Wide World") by A. H. Drummond, Jr.; puzzle 2 ("Mind Your Bees and Kays") by S. A. Kay; puzzle 3 ("Phrasemaster") by Herbert Ettenson. 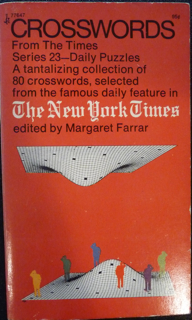 The New York Times Crosswords Daily Puzzles–Series 20, edited by Margaret Farrar. ISBN: 0-671-83250-6. Puzzle 1 ("A Clue or Two") by Jack Luzzatto, puzzle 2 ("On Stage and Off") by Morton Braun, puzzle 3 ("Good Phrasing") by H. L. Risteen. 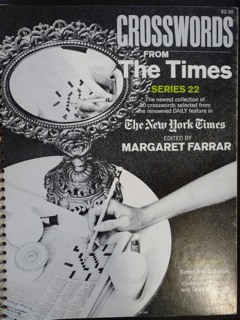 The New York Times Crosswords Daily Puzzles–Series 22, edited by Margaret Farrar. ISBN: 0-671-81774-4. Puzzle 1 ("Somewhat Spanish") by Jules Arensberg, puzzle 2 ("Definitions a la Mode") by Fletcher Coates, puzzle 3 ("No Problems") by Albert Blum. 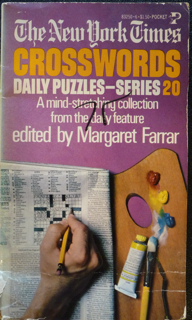 Crosswords From The Times, Series 23–Daily Puzzles, edited by Margaret Farrar. Standard Book Number: 671-77647-9. Puzzle 1 ("Around and About") by Thomas Meekin, puzzle 2 ("No Problems") by Helen Fasulo, puzzle 3 ("People and Places") by J. F. Kelly. 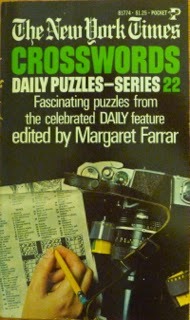 Crosswords From The Times, Series 24–Daily Puzzles, edited by Margaret Farrar. Standard Book Number: 671-77719-X. Puzzle 1 ("Memorable Motto") by S. A. Kay, puzzle 2 ("Somewhat Edible") by Alice H. Cook, puzzle 3 ("Signs of a Season") by Diana Sessions. 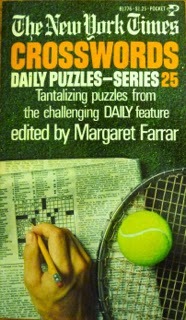 The New York Times Crosswords Daily Puzzles–Series 25, edited by Margaret Farrar. ISBN: 0-671-81776-0. Puzzle 1 ("Past and Present") by Peter L. Tea, Jr., puzzle 2 ("Calling Names") by H. L. Risteen, puzzle 3 ("Knowledgeable") by S. A. Kay. 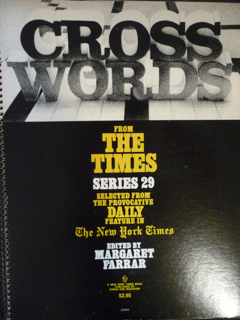 The New York Times Crosswords Daily Puzzles–Series 26, edited by Margaret Farrar. Standard Book Number: 671-80082-5. Puzzle 1 ("Playtime") by Eugene T. Maleska, puzzle 2 ("Mainly Miscellaneous") by Henry A. Wolfe, puzzle 3 ("Some Names of Fame") by H. L. Risteen. Crosswords of The Times. Series 6, edited by Margaret Petherbridge Farrar. ISBN: Not available. Puzzle 1 ("Alphabet Strategy") by Thomas Meekin, puzzle 2 ("Menagerie") by Sidney Lambert, puzzle 3 ("Theatrical Zoo") by Albert Carroll. 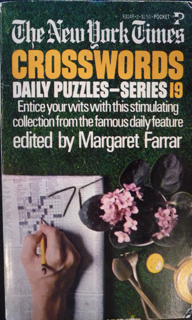 Crosswords from The Times, Series 13, edited by Margaret Farrar. ISBN: Not available. Puzzle 1 ("Memorabilia") by Sidney Lambert, puzzle 2 ("Longs and Shorts") by Morton Braun, puzzle 3 ("Expertise") by Jack Luzzatto. The books below were published by Simon and Schuster under the imprint A New York Times Book; they have black spiral bindings and measure approximately 8 1/4" x 10 3/4". 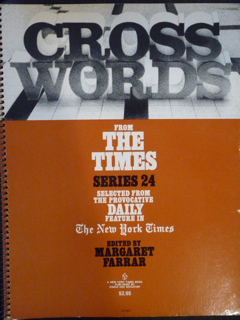 Crosswords from The Times, Series 22, edited by Margaret Farrar. SBN: 671-20742-3. Puzzle 1 ("Somewhat Spanish") by Jules Arensberg, puzzle 2 ("Definitions a la Mode") by Fletcher Coates, puzzle 3 ("No Problems") by Albert Blum. 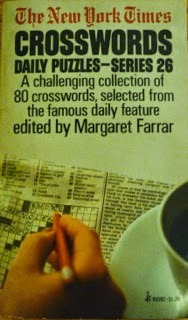 Crosswords from The Times, Series 24, edited by Margaret Farrar. SBN: 671-21093-9. Puzzle 1 ("Memorable Motto") by S. A. Kay, puzzle 2 ("Somewhat Edible") by Alice H. Cook, puzzle 3 ("Signs of a Season") by Diana Sessions. 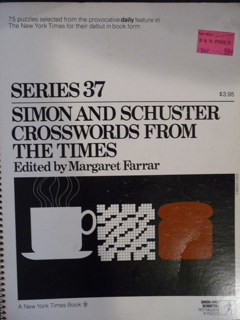 Series 25 Simon and Schuster Crosswords from The Times, edited by Margaret Farrar. ISBN: 0-671-21353-9. Puzzle 1 ("Past and Present") by Peter L. Tea, Jr.; puzzle 2 ("Calling Names") by H. L. Risteen; puzzle 3 ("Knowledgeable") by S. A. Kay. 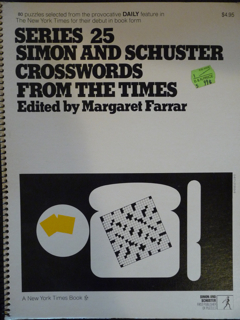 Series 26 Simon and Schuster Crosswords from The Times, edited by Margaret Farrar. ISBN: 0-671-21515-9. Puzzle 1 ("Playtime") by Eugene T. Maleska, puzzle 2 ("Mainly Miscellaneous") by Henry A. Wolfe, puzzle 3 ("Some Names of Fame") by H. L. Risteen. 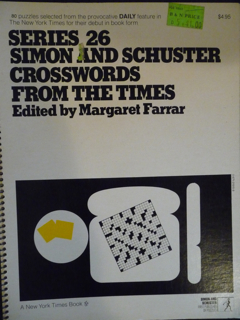 Series 28 Simon and Schuster Crosswords from The Times, edited by Margaret Farrar. ISBN: 0-671-21847-6. Puzzle 1 ("Long Views") by W. E. Jones, puzzle 2 ("Well Thought Out") by Helen Fasulo, puzzle 3 ("Names of Fame") by H. L. Risteen. 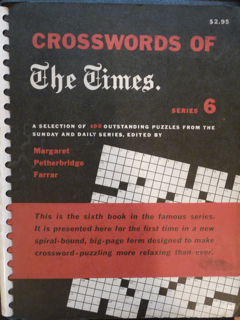 Crosswords from The Times, Series 29, edited by Margaret Farrar. SBN: 671-22094-2 (Spiral). Puzzle 1 ("Varied Verbiage") by Joseph La Fauci, puzzle 2 ("The Choice Is Yours") by S. A. Kay, puzzle 3 ("Unexpected Pleasure") by Helen Fasulo. 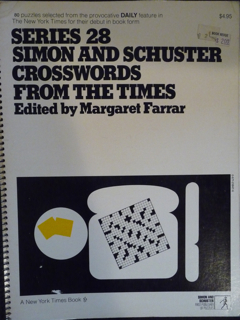 Series 31, Simon and Schuster Crosswords from The Times, edited by Margaret Farrar. ISBN: 0-671-22396-8. Puzzle 1 ("For XYZ Experts") by Arthur Schulman, puzzle 2 ("Constructing Talent") by George Laczko, puzzle 3 ("Poet and Pleasant") by S. A. Kay. 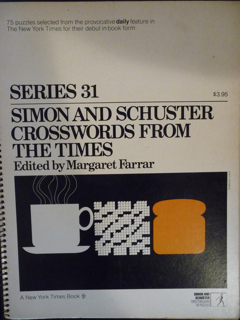 Series 33, Simon and Schuster Crosswords from The Times, edited by Margaret Farrar. ISBN: 0-671-24117-6. Puzzle 1 ("Wordly Wise") by Jack Luzzatto; puzzle 2 ("Virginia Highlights") by A. H. Drummond, Jr.; puzzle 3 ("Somewhat Literary") by Joseph LaFauci. 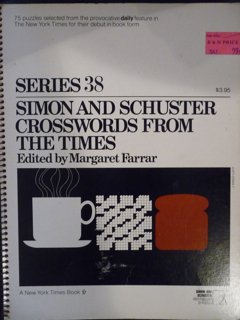 Series 34, Simon and Schuster Crosswords from The Times, edited by Margaret Farrar. ISBN: 0-671-24670-4. Puzzle 1 ("Accent on History") by Arthur Schulman, puzzle 2 ("Words for All Seasons") by Joseph S. Crowell, puzzle 3 ("All Aboard for 8 Down") by Madeline Corse. 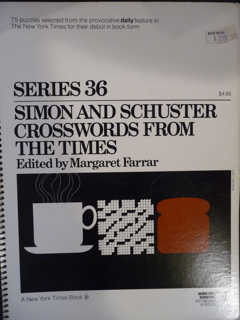 Series 36, Simon and Schuster Crosswords from The Times, edited by Margaret Farrar. ISBN: 0-671-24795-6. Puzzle 1 ("Some Headwork!") by Louise Earnest, puzzle 2 ("Brush Up on Your Alphabet") by Mel Taub, puzzle 3 ("Solid Corners") by Madeline Corse. 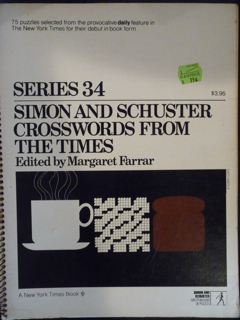 Series 37, Simon and Schuster Crosswords from The Times, edited by Margaret Farrar. ISBN: 0-671-25082-5. Puzzle 1 ("Accent on Geography") by Louis Sabin, puzzle 2 ("Domestic and Foreign") by William Lutwiniak, puzzle 3 ("Real and Imaginary") by S. A. Kay. 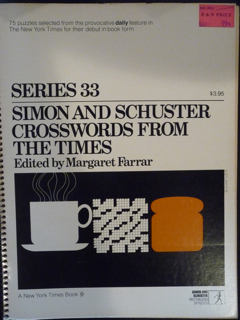 Series 38, Simon and Schuster Crosswords from The Times, edited by Margaret Farrar. ISBN: 0-671-25503-7. Puzzle 1 ("Pleasant Prologue") by Christine R. Valence, puzzle 2 ("Connecting Links") by William Lutwiniak, puzzle 3 ("Trio of Comparisons") by Cora Goodman. 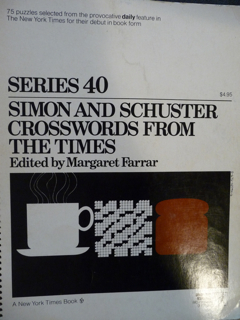 Series 40, Simon and Schuster Crosswords from The Times, edited by Margaret Farrar. ISBN: 0-671-42794-6. Puzzle 1 ("Cross References") by Samuel K. Fliegner, puzzle 2 ("The Glorious Fourth") by Threba Johnson, puzzle 3 ("Wide World Words") by Helen Fasulo. 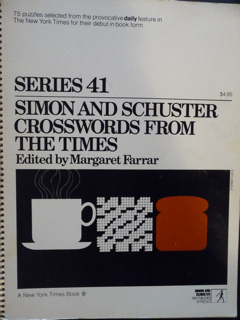 Series 41, Simon and Schuster Crosswords from The Times, edited by Margaret Farrar. ISBN: 0-671-43643-0. Puzzle 1 ("Treasure Hunt") by Helen Fasulo, puzzle 2 ("Almanac Gleanings") by A. H. Drummond, puzzle 3 ("The Play's the Thing") by Harold T. Bers. 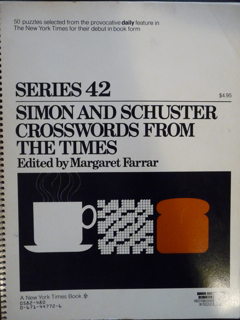 Series 42, Simon and Schuster Crosswords from The Times, edited by Margaret Farrar. ISBN: 0-671-44772-6. Puzzle 1 ("Memory Jogger") by Leonard Sussman; puzzle 2 ("Some Good Times") by A. H. Drummond, Jr.; puzzle 3 ("Glossary Entries") by S. A. Kay. 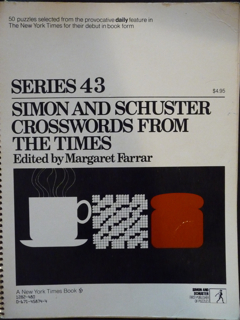 Series 43, Simon and Schuster Crosswords from The Times, edited by Margaret Farrar. ISBN: 0-671-45874-4. Puzzle 1 ("Lively Language") by Louise Earnest, puzzle 2 ("Fun and Games") by Helen H. Kamerling, puzzle 3 ("Venturesome Corners") by A. H. Drummond, Jr.